Do you know those classes where you find yourself more involved in your learning than usual? Those classes where I find myself taking the new course content and making it interact with and challenge all the previous systems and models I've already integrated have produced the most transformation in my life. Unfortunately, those classes have also been the most rare kinds of classes if my life. About two weeks ago, I had the glorious realization that my 'Teaching for Tranformation' course here at Wheaton Graduate School was going to be one of those rare classes. The most confirming piece of evidence for my glorious realization came after class this past Thursday. Near the end of our three hour class session (6:30pm-9:45pm) we were broken up into small learning groups based on our major concentration (Bible and Theology, Family and Children Ministries, Student Development, etc.). When the class period ended, most everyone packed up and headed for home...but not one group. The student development group was still meeting in another room. They were loud enough that you could hear them talking back and forth, revealing the existence of a vigorous exchange taking place. I walked over with the class professor and another student to discover the nature of the exchange. 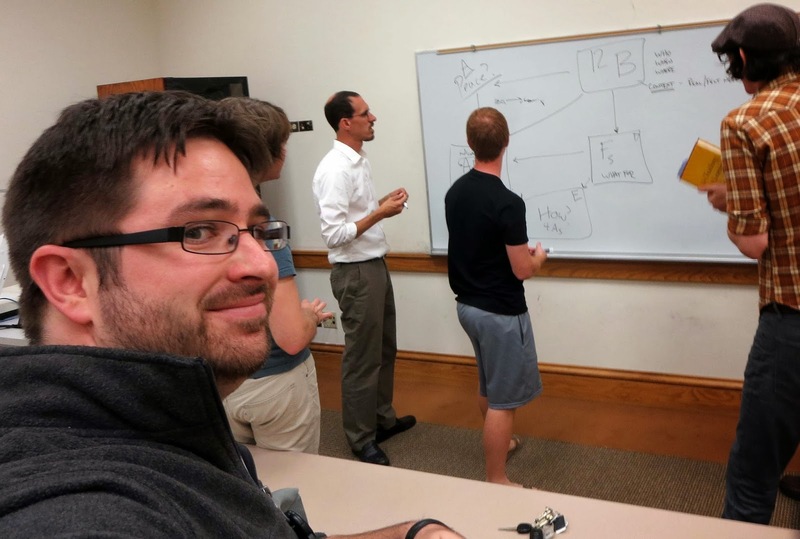 It turns out that their group was trying to incorporate the new Dialogue Education principles that we were learning within the Frankena Educational Model that we'd studied in previous courses. Questions about overall goals, achievement based objectives, curriculum design elements, and how they all related to one another peppered the vibrant back and forth conversation. I was hooked. This is what I came to Wheaton College for. This is the kind of moment that I am convinced cannot happen in an online course and cannot happen with students who are disengaged and just looking for a decent grade before they move on. This wasn't just a passionate discussion between the professor and and one interested student, this was a self-motivated learning discussion that began with engaged students that then enveloped anyone lucky enough to be close enough to it...as I was. This discussion went on for nearly 30 minutes...after a 3 hour class! That's real learning! Need more evidence that this course is engaging everyone at some level? 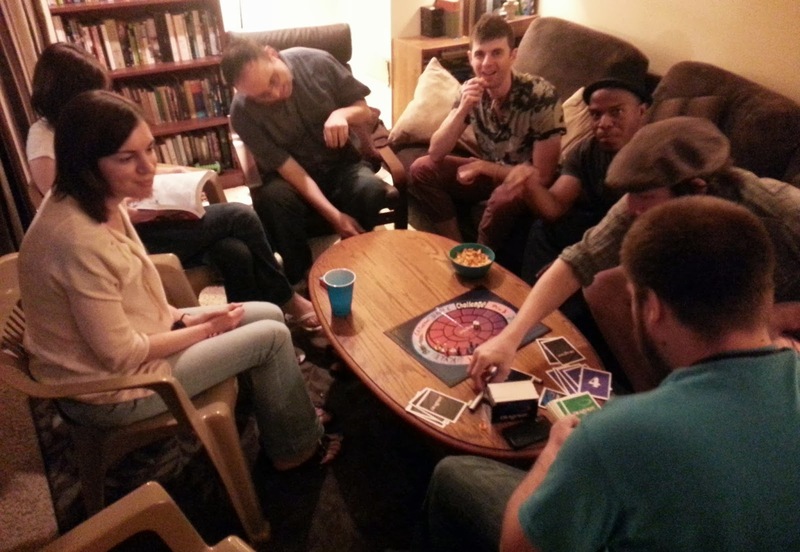 At a recent party with several members of this course present, much of our conversation that night revolved around how we were having difficulty incorporating the new system into each of our unique contexts. How would this system work with children or with middle-schoolers? Would this system work with Korean students whose educational culture values the teacher's role differently than the American system? I may have been the instigator of at least some of these conversations, but one thing was clear, everyone I talked to was challenged and interested in the system. Their replies, even when they were ones of frustration, produced fruitful conversation. I don't think I've ever had this many great discussions about course content with other classmates before! It's too early to tell whether or not we will all end up adopting the new content or some form of the content, but the nature and quality of interaction with my fellow classmates has already made this learning experience a rich one for me. Perhaps the least talked about responsibility a student has in a learning environment is their responsibility to other students. Self-directed learning is powerful and effective. Mentoring is vital and irreplaceable. However, I am discovering that learning that comes from meaningful dialogue with my classmates is just as powerful, effective, vital, and irreplaceable as any other learning. Rarely have I experienced my fellow students as a central source of our learning, until recently. I am beginning to see the potential contained within a community of learners who are fully engaged with each other, though I admit, I am quite the novice at it. I hope and pray that every time I step into a learning environment with other classmates I will take seriously my responsibility to be a source of meaningful dialogue. May my passion, my confusion, or my joy over the learning be so honest and authentic that when shared, like the great after-class discussion above, will envelope anyone around it into meaningful dialogue. It won't be easy for me. My penchant for prideful rambling, showy lecturing, and cynical distrust of other students will make this commitment a difficult to keep. At least now, for the very first time, I am discovering that it is truly a commitment that's worth fighting hard to keep. Have you ever found yourself in a passionate self-motivated group discussion that led to a great learning moment? Do you also struggle to be a source of meaningful dialogue in your class? Or do you simply disagree that meaningful dialogue in a community of learners is an essential aspect of learning? Feel free to interact and share your experiences!